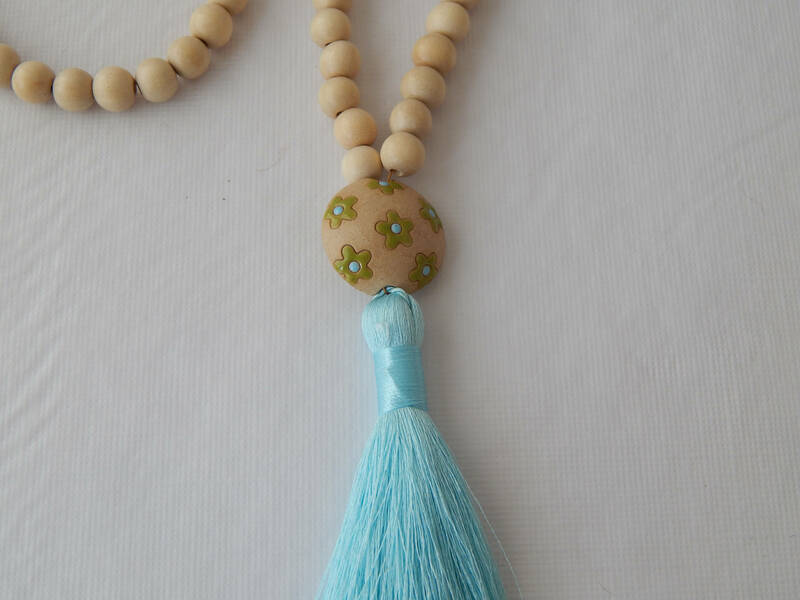 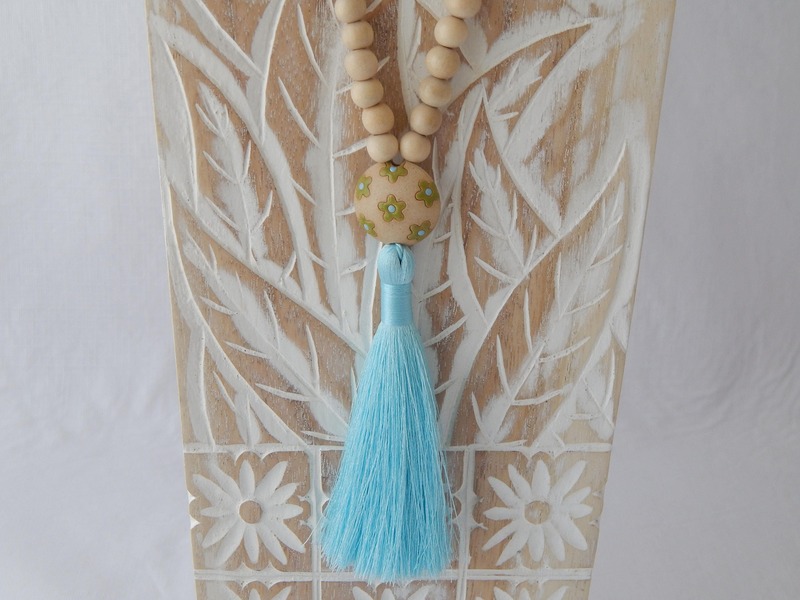 Long wood beaded necklace holds a colorful ceramic bead and a matching silky tassel. 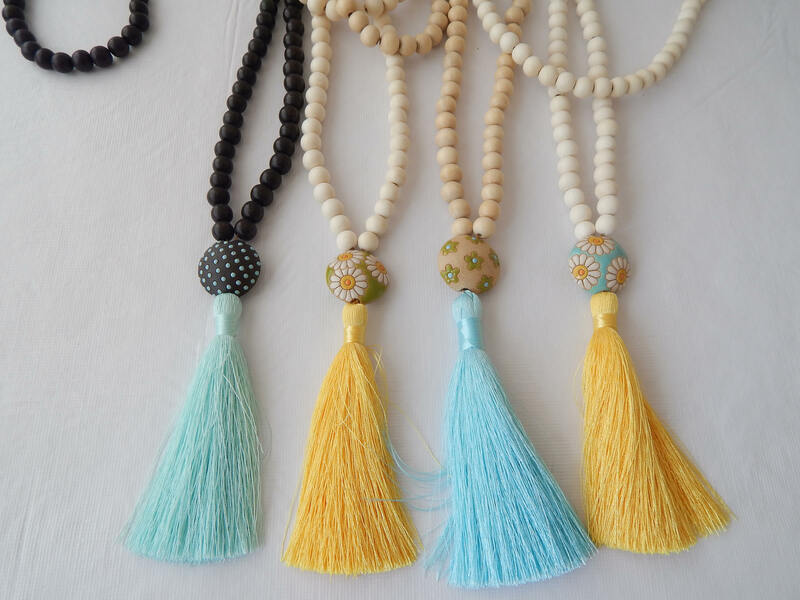 These necklaces are bright and colorful that will make a fun addition to your jewelry wardrobe. 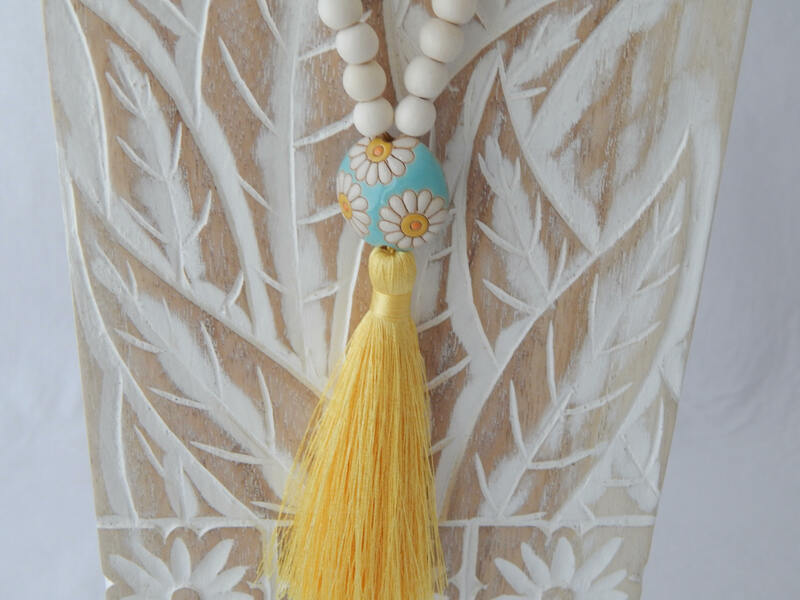 The colors are perfect for the spring/summer season. 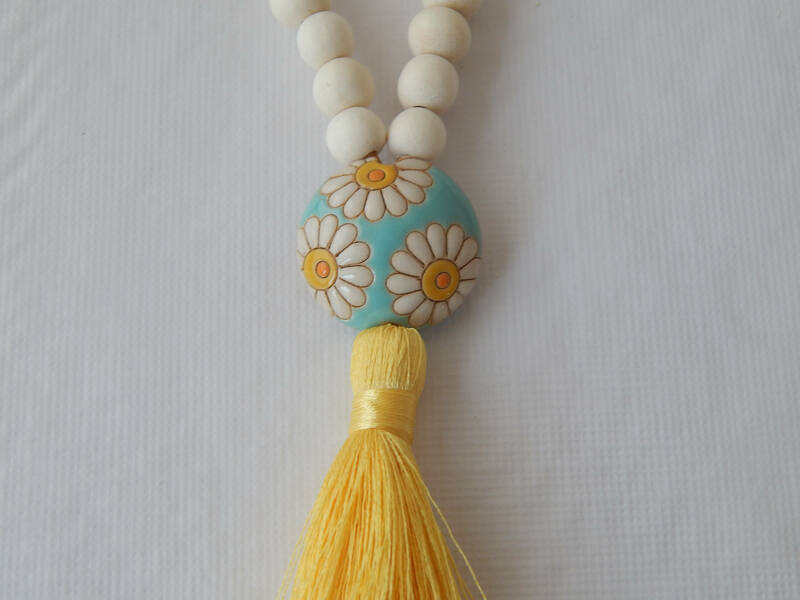 4 ceramic bead colors to choose from just make your selection at checkout. 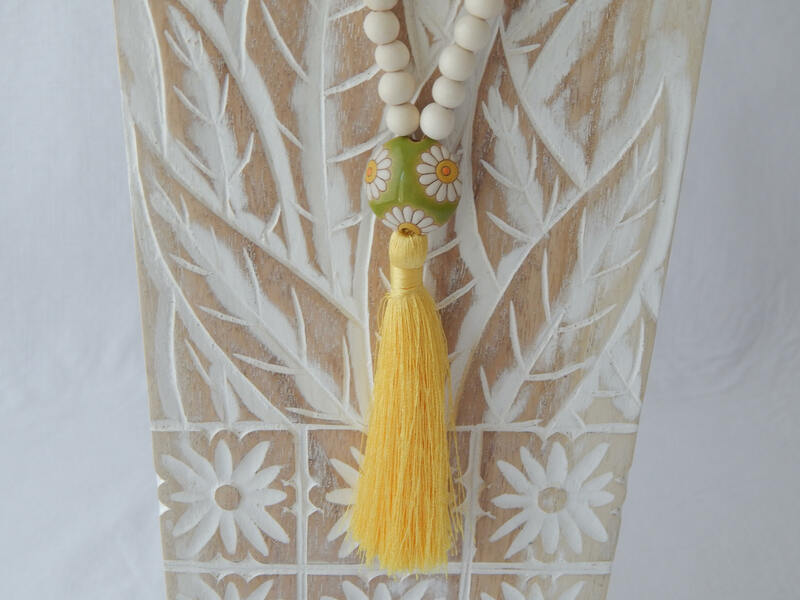 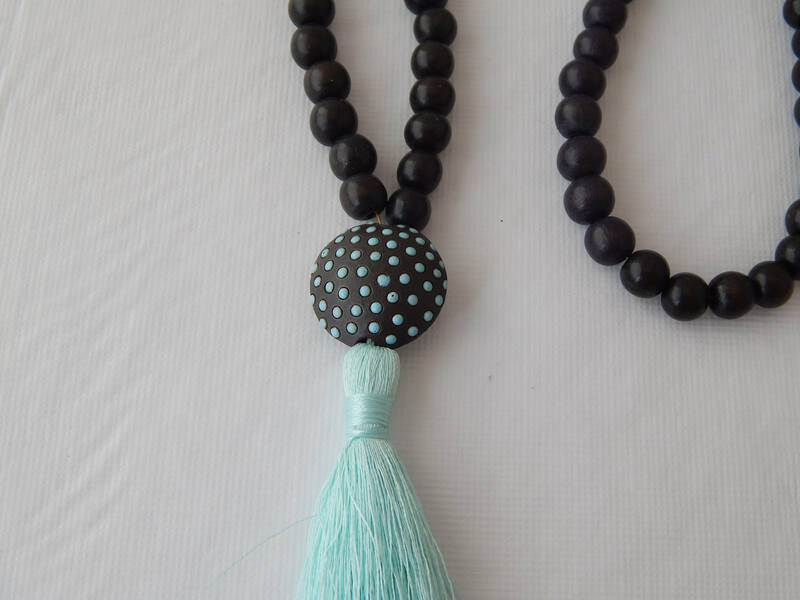 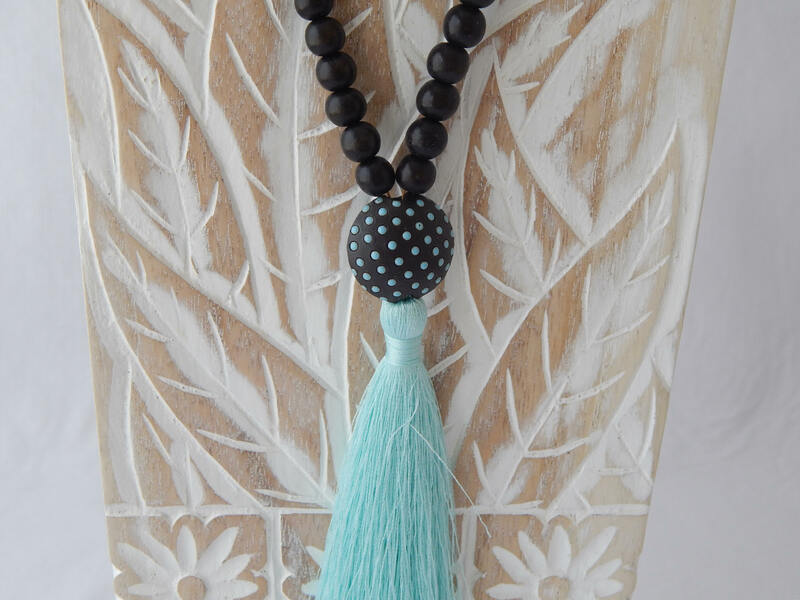 Necklace measures 34 inches long and tassel with the ceramic bead is an additional 4 inches. 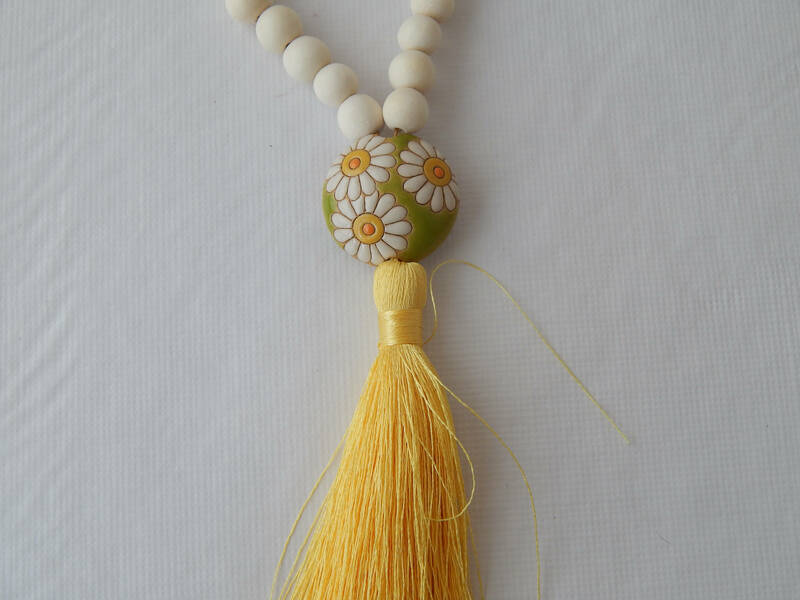 Beads measure 8mm.